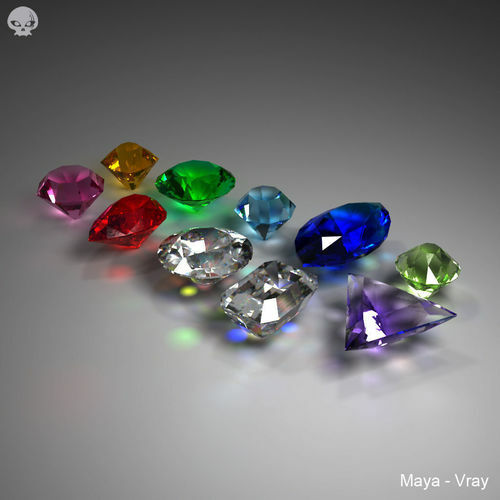 A collection pack of ten different gem stone cuts with ten different v-ray materials. Each material has it's own index of refraction. Maya HDRI lighting scene. - Rendered with V-Ray, using V-Ray materials. - Lighting uses a HDRI map. OBJ and FBX files contains simple default shaders.